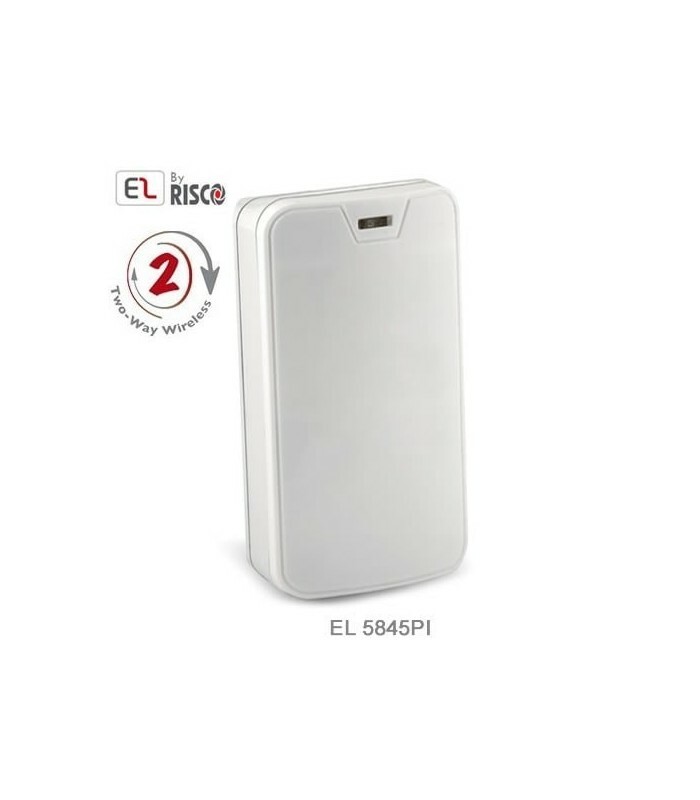 The PIR / PET EL-5845PI Wireless 1 & 2 Way Detector is a wireless motion detector compatible with the iConnectTM and CommPactTM systems. It includes advanced passive intrusion detection (PIR) features detecting movement in the protected zone, even in total darkness. 1Way, or 2Way bidirectional RF communication is selectable by DIP Switch. Powered by two long-life lithium batteries, it includes a sleep feature that ignores events during disarming for battery power conservation and for user privacy. A pet friendly design allows a pet (up to 45 kg / 99 lbs.) To circulate freely without triggering an alarm. Easy to install, it includes a bracket that allows wall or corner mounting for optimal detection coverage.